Why do people bully each other? What are the effects of bullying on the bullied, on bullies, and on bystanders? We will use videos, interactive CD-ROMs and visiting theatre-in-education groups to support our curriculum work. Staff training, including Teaching Assistants and Midday Supervisors, is planned to take place periodically, as a means of keeping the policy active, and updating it where deemed necessary. 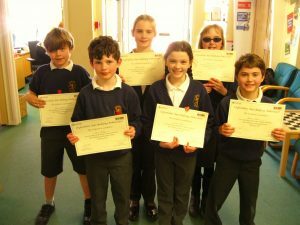 Six year 4 and year 5 children are trained as anti-bullying ambassadors. They can provide mediation and support for younger children during playtimes and lunch times. They promote the school’s anti-bullying agenda, through assemblies, competitions, posters and leading discussions at class circle times. They assist the Midday Supervisors in their role of keeping everybody happy and safe.